The train station is located at the top (west end) of Damnoern Kasem Road. 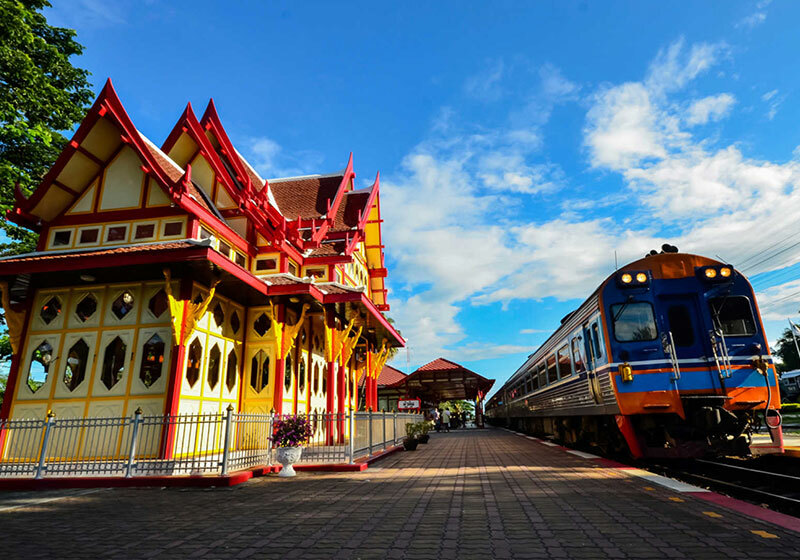 Short Description: Hua Hin railway station is a train station located in Hua Hin Subdistrict, Hua Hin District, Prachuap Khiri Khan Province, and is located 212.99 kilometres from Thon Buri railway station. It is a class 1 railway station on the Southern Line.